Flipper rebuild kit for Bally pinball games made between May 1975 and April 1980. Includes replacement parts for 1 flipper (left or right). Includes installation instructions. 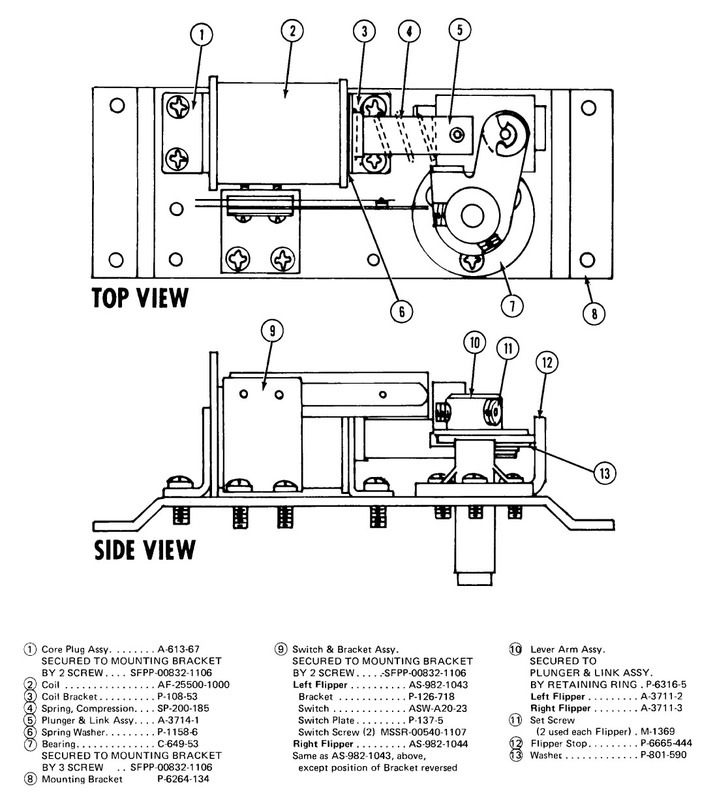 Flipper crank (left or right) is not included in this kit, but is available separately. Order # A-3711-2 (left) or A-3711-3 (right). This kit includes one (1) EOS switch. If the flipper assembly you are rebuilding has a 2nd (outer) EOS switch which controls an upper flipper, you may or may not need to replace that 2nd switch. If you do, it must be ordered separately (not included in kit because not all games that use this kit have upper flippers.) 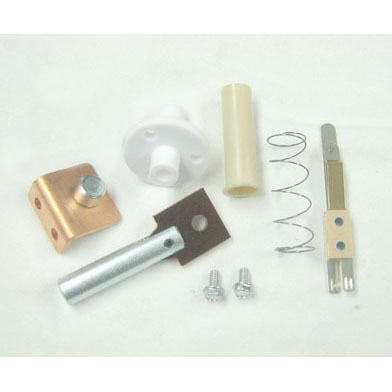 You can order part # ASW-A10-45 separately. EOS switch in this kit is a 2-leaf replacement for original 2-leaf switches used in many early Bally games (# ASW-A20-23). It can also be used in place of the 3-leaf switch used in later Bally games (kit includes shorter screws for proper switch mounting). If you want to retain the 3-leaf Bally switch on your flipper assembly, order part # ASW-A20-34 separately.